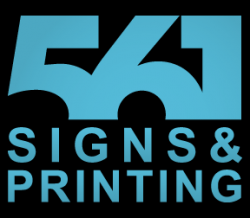 561 Signs is a family owned and operated full service sign company located in Boca Raton Florida. We can print, ship and install around the country and are fully dedicated to customer service. From vehicle wraps to channel letters and everything in between there is no job too big or small. Don't have your idea drawn out? Need your something created from scratch? Not a problem, we have a full staff of graphic designers ready to sit and work with you 1 on 1. Stop in our shop or give us a call today, and remember... "A business without a sign, is a sign of no business." Floor Installation: The utmost quality for your flooring needs. We are a fully self-contained mobile detailing company. We use the highest quality of products on the market today. ALL2GETHER Mobile Detailing offers same day service. If you have Us come to you, for your mobile detailing needs, you will understand why our customers keep coming back. I am a cleaning lady and can clean your home or office. I do washing/ironing/cleaning/ light cooking/etc etc (no baby sitting). I work by the hour $15 -20.00 hour Please call me to arrange an estimate.